to order those wedding dies! 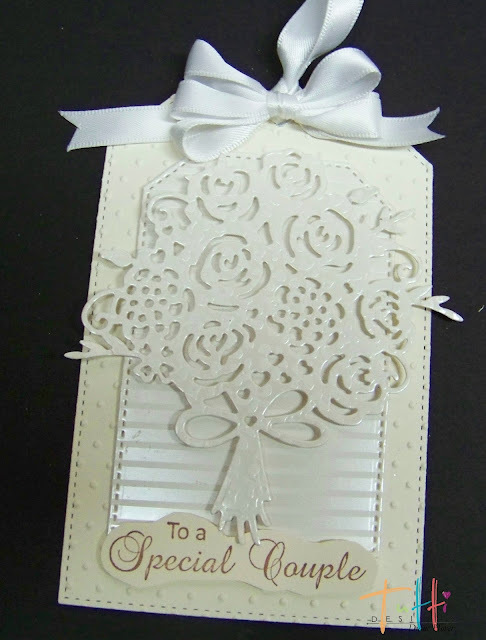 First is a wedding tag, perfect for the wedding gift or shower gift. but the Nesting Stitched Tags as well! but the Nesting Stitched Hearts die as well. I added a spray of stars at the side. The third card is pretty basic. and popped up on a Nesting Stitched Circle die. Tiny matching flowers were randomly added. Make sure and stop back next Tuesday for more 'wedding' cards. 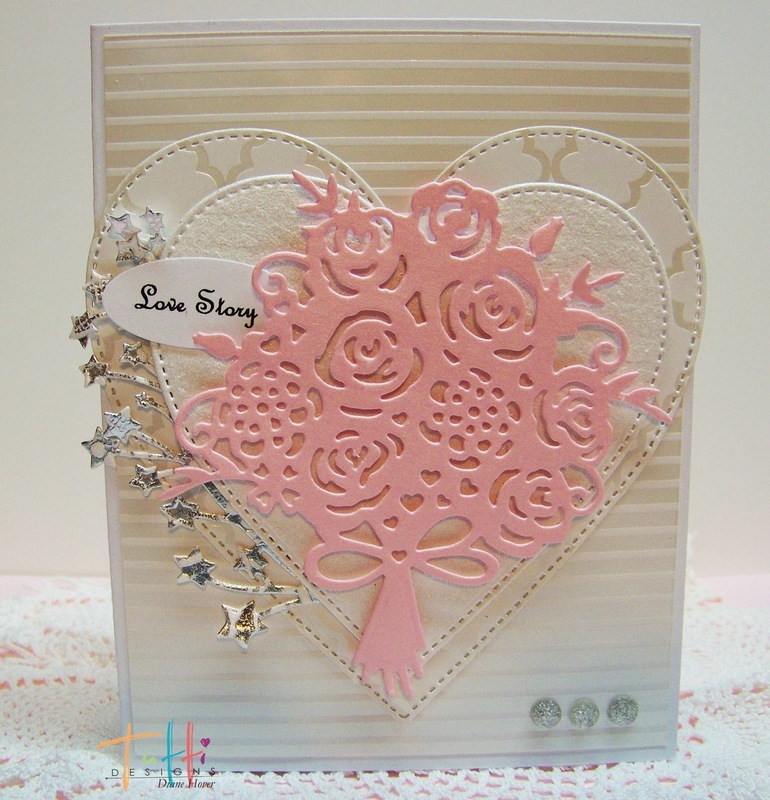 using more of the fabulous Tutti Designs dies. Wow, Diane! These are simple and so elegant! That bouquet is a great die to have. WOW ... sorry I'm late in commenting ... these are all so beautiful! The white on white is amazing! Fabulous inspiration ... thanks!